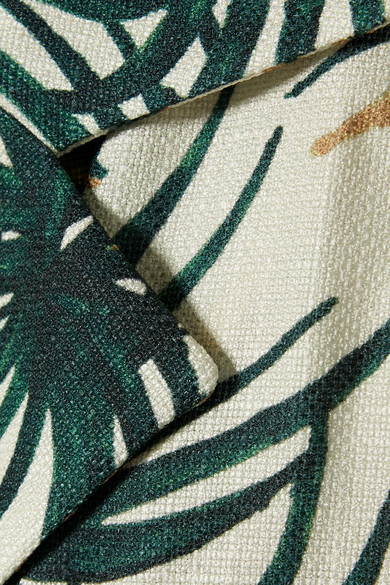 Patricia Bonaldi often turns to the vibrant culture and lush flora of her native Brazil to inspire PatBO's pieces. 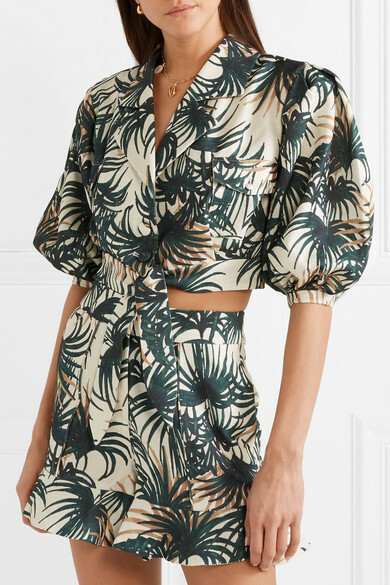 Printed with detailed palm fronds, this woven top ties neatly at the front and has fitted cuffs that create volume through the sleeves. 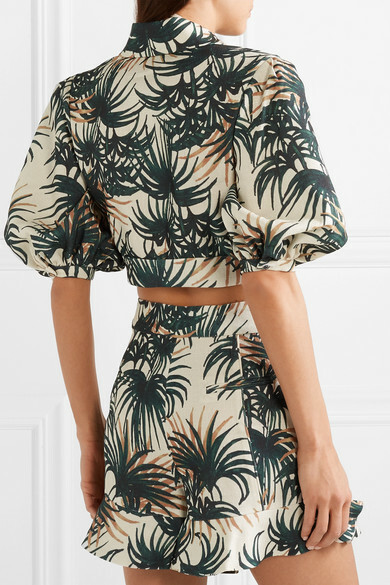 The cropped length perfectly complements the high rise waist of the matching shorts. Shown here with: Cult Gaia Tote, Francesco Russo Sandals, Sophie Buhai Earrings.